SATURDAY, Dec. 1, 2018 (HealthDay News) -- The 41st President of the United States, George Herbert Walker Bush, died Friday night at his home in Houston at the age of 94. Bush, also the father of the 43rd President, George W. Bush, had battled numerous health issues over the past few years, including a form of Parkinson's disease, The New York Times reported. His death comes less than eight months after that of his wife of 73 years, Barbara. Over the past few years, Bush's Parkinson's had forced him to use a motorized scooter for mobility. He also had numerous health crises - in April, he was hospitalized with a serious infection just a day after his wife's funeral, and in 2013 he battled a near-fatal bout of bronchitis. 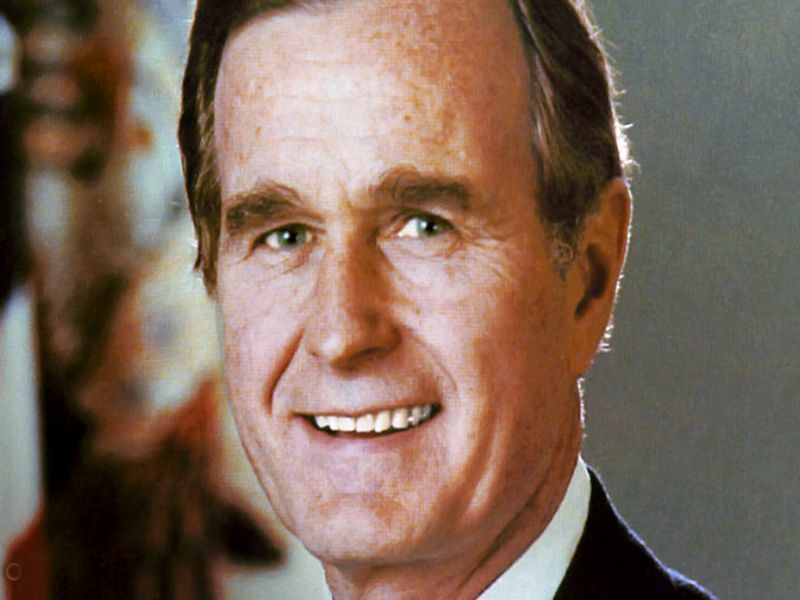 Bush, whose term as President ran from 1989 to 1993, hailed originally from Connecticut and was the son of banker and two-term U.S. Senator Prescott Bush. He was a decorated Navy pilot in World War II and attended Yale University. Bush met and married the former Barbara Pierce in 1944, and in 1948 the family moved to Texas, where he'd begun a career in the oil business. From that point forward, the Bushes became strongly identified with the Lone Star state. Bush's nearly 40 years of public service began in 1963, when, alarmed by a potential far right takeover of local Republican politics, he ran for and won the leadership of the Harris County Republican committee. He eventually made his way to the U.S. House of Representatives in 1966, representing a wealthy district in Houston. By the early 1970s Bush was a fixture in the Nixon White House, becoming ambassador to the United Nations in 1971. He then headed the Republican National Committee during perhaps one of the GOP's most trying times: Watergate and its aftermath. During the Gerald Ford presidency, Bush was picked to head the CIA. His political career had a lull during President Jimmy Carter's term, but Bush again rose to national prominence as President Ronald Reagan's two-term vice president during the 1980s. By the end of Reagan's tenure, Bush was ready to take a long-sought shot at the Presidency: he beat Democrat Michael Dukakis and installed Indiana senator Dan Quayle as his vice president. Bush's presidential term is perhaps best remembered for the first Gulf War, sparked by an invasion of oil-rich Kuwait by Iraqi dictator Saddam Hussein. "Vital issues of principle are at stake,"Bush told Congress on Sept. 11, 1990. "Saddam Hussein is literally trying to wipe a country off the face of the earth." Backed by a U.N. Security Council resolution authorizing force if Iraq did not withdraw, as well as bipartisan support in Congress, Bush ordered American forces to bomb Baghdad on Jan. 16, 1991. "Our goal is not the conquest of Iraq, it is the liberation of Kuwait,"Bush told the nation in a televised address. The ground war was short - 100 hours - and the Iraqi army fled, with Hussein remaining in power. "We were disappointed [at leaving Hussein in place], but I still do not regret my decision to end the war when we did," Bush said. Bush weathered other political storms, such as turmoil in the former Soviet Union and the much-contested appointment of U.S. Supreme Court judge Clarence Thomas. By 1992, with the economy in a downturn, and a charismatic Democratic opponent, Bill Clinton, in the ascendant, Bush failed to win a second term. But the Bush family's political fortunes rebounded with the election to the Presidency in 2000 -- and the then again in 2004 -- of Bush's namesake, George Walker Bush Jr.
Near the end of his own presidency, George H.W. Bush made a diary entry in which he conceded he was perhaps not a trailblazer in the Oval Office, but a president who held firm in trying times. "I'm certainly not seen as visionary," Bush wrote. "But I hope I'm seen as steady and prudent and able."